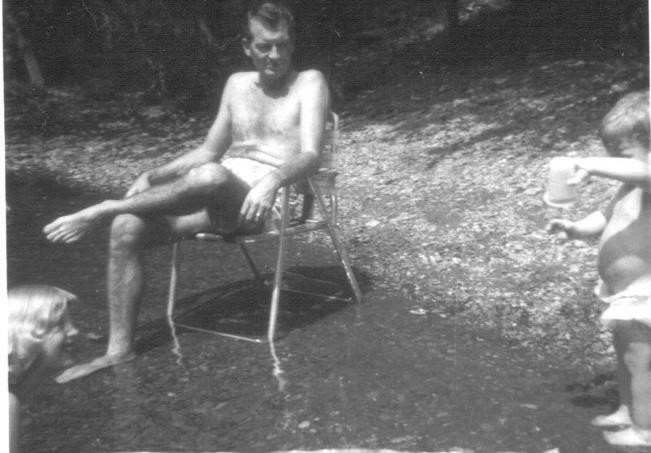 My father-in-law, Floyd Houston Cutshaw, was born on March 20, 1923. He’d be turning 91. That seems unfathomable to me. I have to say that the Pop Cutshaw I knew was probably a very different person than the father his kids grew up knowing. By the time I came onto the scene he was about to retire, and I think that growing a little older and developing some health problems had mellowed him some. To me, he was always easy to be around, with a dry sense of humor and a favorite chair. Jeff’s growing-up memories include Pop making old-school, stove-top popcorn in a pan that was, in Jeff’s recollection, beat-up and black from all the stuff that got cooked and/or burned in it, and no longer flat on the bottom but “bowed up in the middle”. 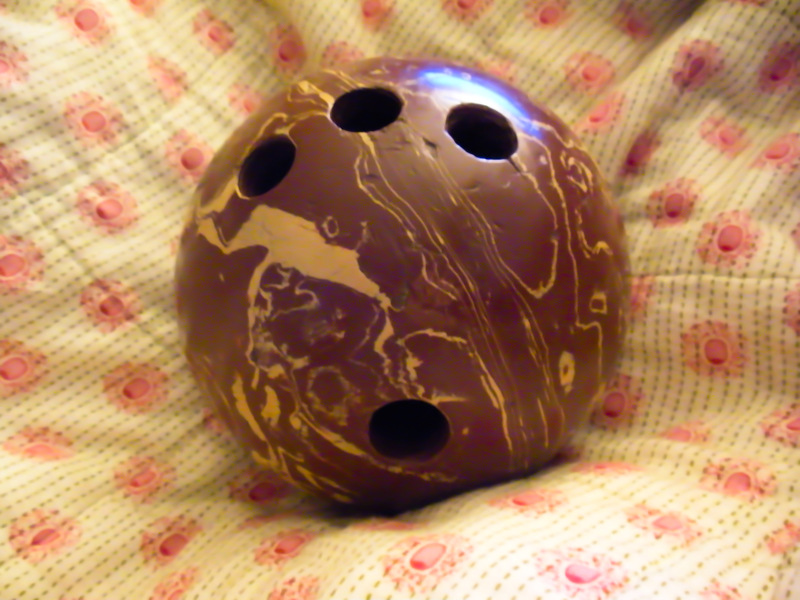 Pop Cutshaw brought home a swirly brown ball from someplace and drilled holes in it to make Jeff’s first little bowling ball, a treasure we have to this day. Jeff spent countless hours propping up a pillow in their kitchen or den behind his set of little plastic bowling pins as he practiced big boy bowling. My history with Pop was a lot shorter because I came into the family as the last child-in-law. I always liked him and I felt that he liked me too. A routine developed over the years when we would go over to their house for dinner or whatever reason for a visit. We always went in the sliding glass doors into the den, and Pop was generally sitting in his recliner in the corner watching sports on TV. Mom Cutshaw might be in her chair as well, opposite his, or she might be in the kitchen. I always leaned down to kiss Pop on the corner of his forehead (usually leaving a lipstick smear behind) and he always said “Thank you!” when I did it. I mentioned that he developed health issues as he got older. One of those was prostate cancer. It scared all of us to death, because he already had a heart condition, and there was concern that side effects from treatment could make his existing problems worse. Fortunately, no surgery was needed, just radiation (which was still no walk in the park). When he began treatment, I sent him an arrangement of white roses, the flowers I always choose to express respect. Our phone rang that night and it was Mom Cutshaw saying, “Your father-in-law has something he’d like to tell you,”. He told me he’d never gotten flowers from a woman before and he was touched by the gesture, and he thanked me. He did very well during radiation, especially for his age and considering his heart problem. He endured bladder cancer prior to the prostate cancer, a heart attack, several angioplasties, double hernia surgery and an enormous aortic aneurysm that he didn’t want to get fixed until he finished building the carport for the motor home! That was just how he was. In his younger days, he could build or fix just about anything thrown his way. He and Mom Cutshaw eloped to Ringgold, Georgia after he came back from The War, a period of his life that he never talked about much. The war, not the marriage. How strange and sad that after surviving so much, in the end it was Alzheimer’s Disease that took him from us. How ironic that, after years of lipstick-smeared forehead kisses, I should be wearing the original Kissy Shirt the night he died and I kissed him for the last time. And how poignant was the conversation we had in a dream following his death. I dreamed that, like every other time we had gone to their house, Pop was there in his recliner, stretched out with his feet up. The whole family was there for dinner and everyone else was in the kitchen. I leaned down and kissed him on the forehead just like always, leaving my mark behind. And he thanked me. I sat down in Mom C’s chair. He and I were by ourselves in the den, and I knew that he was dead, but he had been allowed to return for a visit with me. He thanked me once again for the white roses I’d sent him years before, and said he would like me to plant a garden of white flowers for him, whatever kind I wanted, but all white. And then he was gone, I was awake, and tears of joy and gratitude were flowing before my eyes even opened. Dreams like this are so vivid, real and beautiful when they come, and I would endure every bad dream gladly for the chance to experience these occasional visits from my departed loved ones. I miss them all so much, but now and then I am granted the gift of a visit like this one with Pop. I have never gotten around to planting that white garden. Maybe this year that will happen. 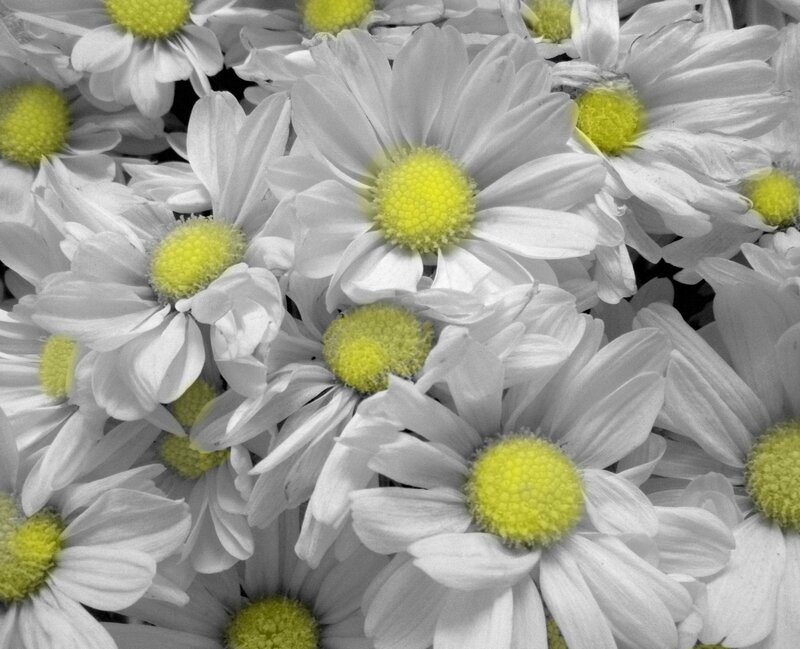 But every time I see white flowers of any kind, I remember Pop and that precious moment we shared in my dream.